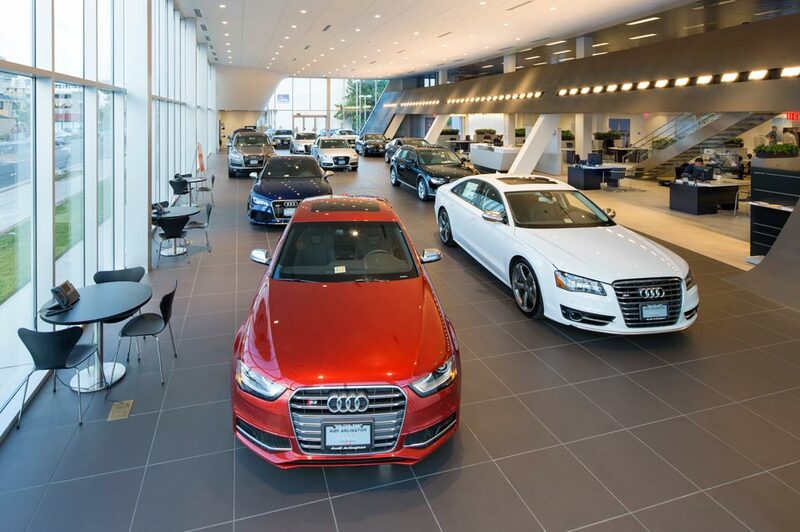 Our dealership in Upper Saddle River, New Jersey, offers the comprehensive Audi experience. We've been in business since 1972, but that doesn't mean we haven't adapted to modern car-buying trends. You can find our entire inventory of new cars for sale. Looking for something that's agile and efficient? Check out the new Audi A3. Want to step up the versatility? Try the Audi Q3 or Audi Q5. Whatever piques your interest, we've got something for you in our model research pages. And with so many Audi lease deals and specials, driving an Audi has never been more achievable. But if new still isn't for you, it's a great thing you're shopping Audi. The pre-owned and CPO models at our used car dealership are still superior to their in-class competitors. Once you've found a car you like and you're ready to sign, our Finance Center will be there to guide you through the process. We take pride in our ability to work with a variety of budgets and credit scores, and our ultimate goal is to see you leave satisfied. But we hope to see you back, too. When it's time for regularly scheduled maintenance, our Service Center is here for you with factory-trained technicians and outstanding Audi service specials. In the event that you need something more extensive, we can also help with that. Schedule an appointment anytime. Industry-best customer service awaits at our dealership and we look forward to becoming your choice Audi dealer near Poughkeepsie, NY, Upper Saddle River, NJ, and beyond.